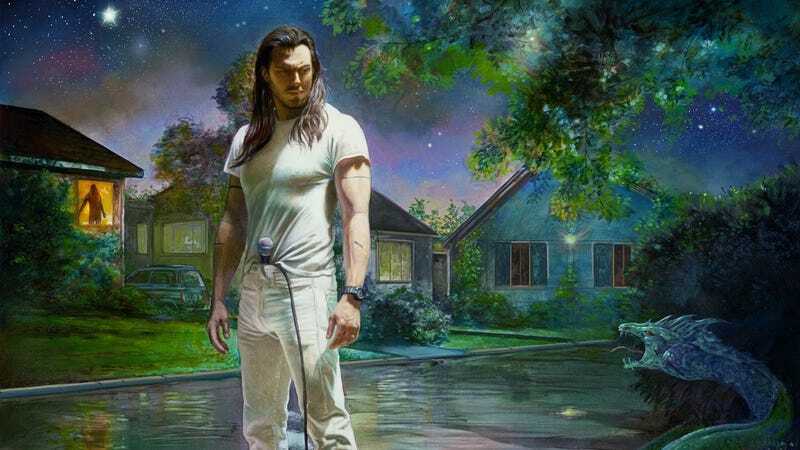 What do you do when the endlessly enthusiastic party anthems of Andrew W.K. aren’t enough to knock you out of your day-to-day funk? Turn to the hard stuff, apparently: W.K. has just announced his first new album in years, You’re Not Alone, offering it up as a hard-rocking self-help panacea for the modern world. The songs on this album follow a surprising path to self-actualization. They give the listener permission to admit their vulnerabilities, and the encouragement to feel empowered. They’re reflections on the push and pull between freedom and restriction. It’s a confirmation of everything you are, rejection of all you are not, and at times, a blurring of the difference between the two. Doubt becomes certainty, confusion becomes clarity, and the fear of life becomes the courage to live it completely. The album reveals itself through double meanings, mirrored views, each ringing equally true, even at their most severely discordant. You’re Not Alone arrives on March 2, 2018; you can pre-order it here, and check out the track list below.